This letter was first published in the ABP 2018 Annual Report. We physicians are privileged to be able to regulate our own profession. Through certification, we set standards of excellence and we decide how to measure each other against those standards. The “we” in the above sentences refers to practicing pediatricians who volunteer to do the work of setting standards and deciding how the profession should regulate itself. This year marks the ABP’s 85th anniversary. In that time, our profession has gone from allowing any doctor to proclaim him- or herself an expert at treating children to having more than 80,000 certified pediatricians who meet rigorous standards. Today, more than 400 board-certified pediatricians and pediatric subspecialists volunteer countless hours to make self-regulation work. They represent a wide range of practice types, ages, genders, geographies, community resources, ethnicities, and experiences. In this issue of our annual report, they tell you about their work with the American Board of Pediatrics. Many cite the joy and camaraderie of working with others in their field. Some say it’s fulfilling to contribute to the future of their profession in a meaningful way. And more than a few say they volunteered to improve the certification process. My experience was similar. I began volunteering with the ABP in 1995 when I was at the Johns Hopkins University School of Medicine. I’ve written exam questions, chaired the Pediatric Critical Care Subboard and the Maintenance of Certification Subspecialties Advisory Committee, and been a member of the ABP Board of Directors. Back then, I appreciated the opportunity to interact with like-minded individuals who were interested in advancing the profession. I believe I was a better teacher and a better pediatrician because the process helped me think through the clinical problems and concepts more clearly. Now, as one of five physicians on staff here at the Board, I have the opportunity to work with all of our volunteers in all fields. I am continually astounded by the willingness of these volunteers to take on challenges and shoulder the work of developing and maintaining board certification. There are numerous opportunities to volunteer that don’t require hundreds of hours or multi-year commitments. You can participate in surveys, focus groups, or pilot programs that help us improve important functions. For example, more than 11,000 pediatricians helped in some way to develop MOCA-Peds, our new online assessment platform. If board certification is to remain relevant and provide meaningful standards for medical practice, then we need your perspectives and opinions. Please consider participating. And to all of our volunteers — past and present — thank you! We are in this together to benefit children. David G. Nichols, MD, MBA is the President and CEO of the American Board of Pediatrics (ABP). 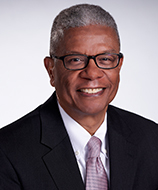 As leader of the American Board of Pediatrics (ABP) staff and a member of the nonprofit organization's Board of Directors, Dr. Nichols actively promotes high-quality health care for children by upholding the standards of certification in pediatrics and by encouraging and facilitating initiatives in quality improvement. Although he assumed his new leadership role in late 2012, he has been associated with the ABP for more than 20 years. He is board certified in General Pediatrics and is board certified and maintaining certification in Pediatric Critical Care Medicine.